No unfortunately that is not the way APNs work, you can’t switch your APN to find better coverage on one of their other networks. Your phone is using a SIM card that is only compatible with one of their networks and in your case, the is the AT&T network. If you wanted to use their Verizon or T-Mobile networks you’d have to have a compatible phone and then transfer your service to a new SIM card. 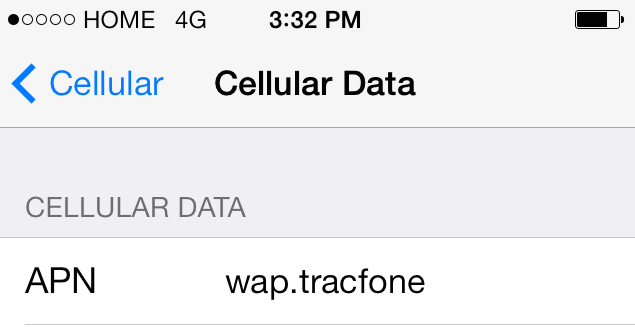 The APN is just a setting that tells your phone how to find its way from the cellular network to the internet. Living in a rural area is challenging. I generally ask people to start by figuring out which carrier does have coverage where you live. ATT, Verizon, T-Mobile, Sprint, US Cellular, or some regional provider and try to choose a service that works in those areas. Since you are already using Straight Talk’s ATT network, I assume that you do get coverage when you using your phone when you are not home, is this the case? If you have home internet service (cable, fiber, DSL..) you can try using Wi-Fi calling. While Straight Talk doesn’t officially support Wi-Fi calling on their AT&T networks a number of customers find that they are able to use it. It worked well for me. Try enabling it on your phone. It might take some time to start working. If you are unable to do that you could switch to a prepaid service that does use Wi-Fi calling.